If you are anything like me, you can never have enough birthday stamps! 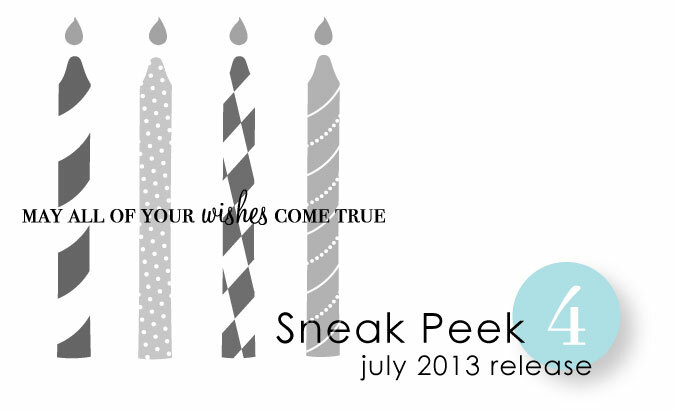 I'm excited to share a few peeks today that showcase some new birthday products coming your way! Lizzie Jones has worked her magic again with a fun collection of candles in a variety of patterns, some of which are even two step for added color options! The sentiments are perfect for the theme and feature an amazing font combination! Lizzie also designed a fabulous new balloon set! The patterns she incorporated into the balloons are fresh & fun. There are also a few different balloon string options to help you achieve lots of different looks! The coordinating die will be a nice addition as well! 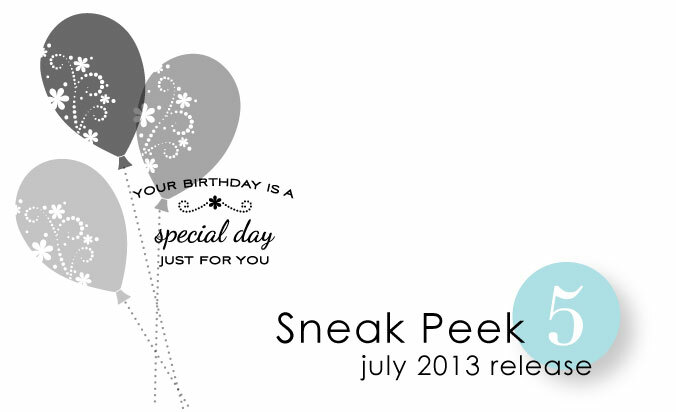 By popular customer request I have put together a new Inside & Out: Birthday sentiment set! It features lots of different options for sentiments that are a bit lengthier and larger in scale so that they can finish off the interiors of your birthday cards with style! There are many different styles represented in this set, so you will truly have something perfect for any recipient! Like! Like! Like! (all of three sets). This is going to be a baaaad month- for my wallet!! Love it all! Ooh, loving the balloons, and the inside out birthday idea. Can’t wait or the reveal! Love those balloons and candles. Inside Out Birthday will be a welcome addition to my PTI collection. Great sets this month, PTI!! wonderful new additions to your stamps – wonderful for the inside of cards!!! Wonderful peeks. Especially excited about lots of birthday options, both inside and out! Really likin’ these 3 new sets. Glad to know a new “Inside Out” addition is going to be available! 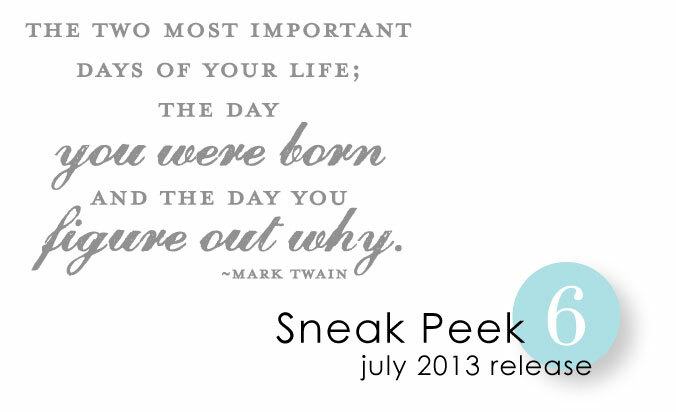 And another fun peek at some fantastic releases! What a great set! I love the variety of candle designs and the unique balloons. And the sentiment is subtle but says so much. Well done! Love these! Birthday stamps are always a good addition! Woohoo…who doesn’t love birthday stamps. No one I know. Really looking hard at the inside-out set. New Birthday stamps are always needed. They look fantastic! I surrender. Just take my next check. I can’t wait to see all of these – this is torture! Seriously, a new Inside and Out B-day??? I could kiss you! So excited. I love the birthday candles, they are really cute. Another one to add to my wish list. Pretty pattern on the balloons. OMG!!!! I am laughing so hard I am crying over the new inside out birthday sentiment!! I have got to have it!! Of course along with the balloons and die to match!! Oh my goodness–I NEED all of these! Always can use more Birthday! I love the candles! Can’t wait to see more! Oh, the candles look so fun!! No one can have enough Birthday theme stamps/dies. That’s wonderful that there are new options for birthday. Always need new birthday cards stamps/ideas! You can never have too many birthday stamps! REALLY love this B-Day set!!!! AWESOME. Don’t you know that we live in an immediate gratification world- I want to see this set now! Love the candles, can’t wait to see more! O I hope I am not messing up. Love the inside out stamp. Sweet and love the balloons. I LOVE LOVE the balloons with the swirls! I like the patterns in the balloons……pretty! Love the sentiment, and the balloons, fabulous! Meadow Greens and Ultimate Birthdays are sure winners. Thanks so much. Great month of new things! Can’t wait for the new releases! Don’t know how I’m going to be able to shorten m want list. Love the meadows stamps and dies, the number border and the words and lots of others. May have to order a couple of times to get all the ones I want without breaking the bank! What a great set of new releases! Very excited for tomorrow morning.